Every now and then, a car pops up that never gets the credit it deserves. Toyota's third generation Verso is a typical case. It's one of the very best small MPVs you can buy, yet all too often it's overlooked as buyers flock to Vauxhall Zafiras, Ford C-MAXs, Renault Scenics and Citroen C4 Picassos. Yet the seven seat Verso offers just as much practicality and a better reliability record - which ought to count for a lot with used car buyers. If you've got this far, you're probably one of the clued-in minority. Here's what to look for when shopping used. 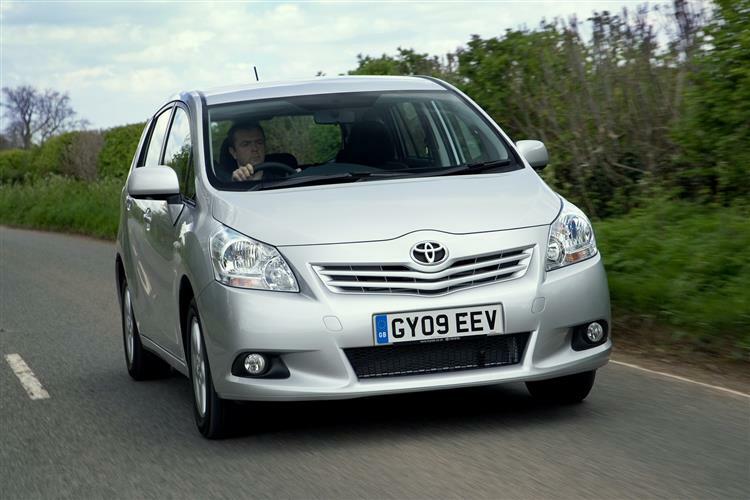 The Verso was preceded by the Corolla Verso, itself a model that became rather lost in a melee of people movers that Toyota launched at much the same time in 2001 alongside the Yaris and Avensis Verso models. I ran one as a long term car and found it such a delightful and useful thing that I bought one. True, it didn't last long before it was destroyed by a skip lorry while parked on the street but you know a car has some intrinsic merit when a motoring journalist makes the rare step of putting his hand in his pocket. A second generation Corolla Verso model was launched in 2004 with cleaner styling and more equipment. 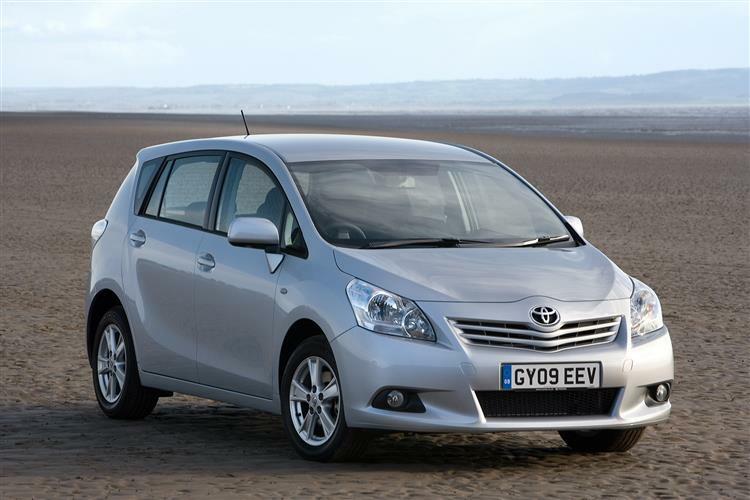 The following year Toyota ditched the Corolla part of its name and campaigned it as the Verso. It took a little while for the new factory in Turkey to get up to speed on quality but the Verso was soon making the sort of tiny warranty claim figures that Toyota routinely demands. 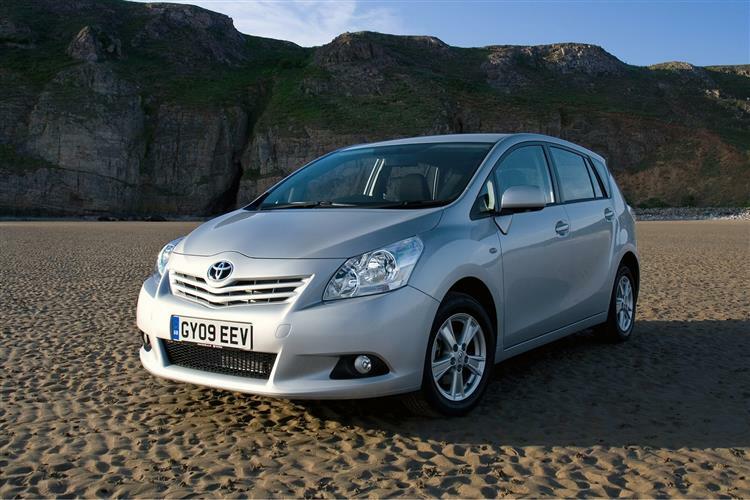 This third generation Verso was unveiled at the 2009 Geneva Motor Show and arrived in UK dealers in late April. 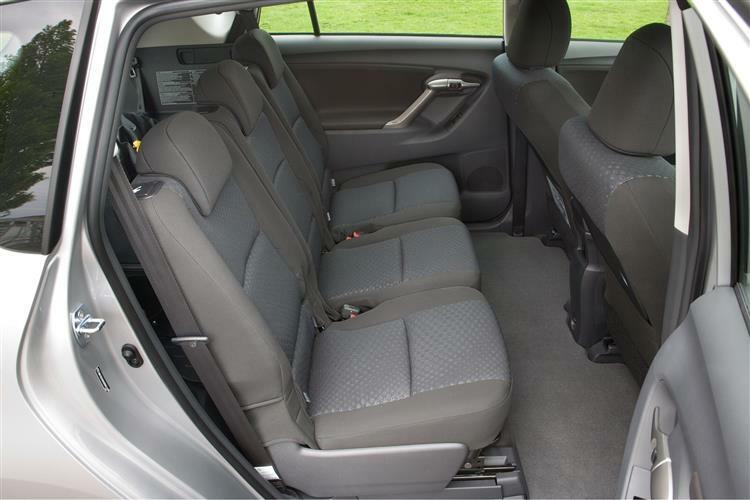 This answered the key criticism of the second generation model, namely that it was a decidedly cramped fit for seven seats. It also offered improved engine efficiency and higher quality cabin fitments. 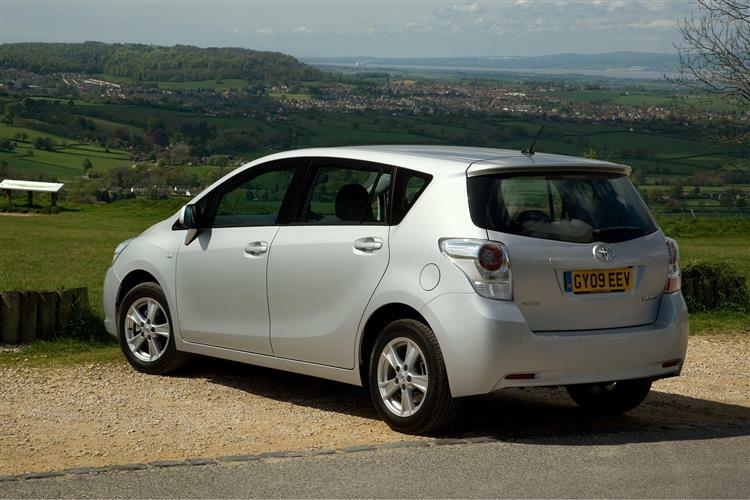 In March 2010 the Verso was given the top five-star rating for all-round safety performance by Euro NCAP, the industry's benchmark testing organisation. More than that, Verso achieved the highest combined percentage scores in each test category of any MPV subjected to the independent crash test and assessment programme. This helped it earn a Which @Best Buy' recommendation and a Fleet World 'Best Small MPV' crown. 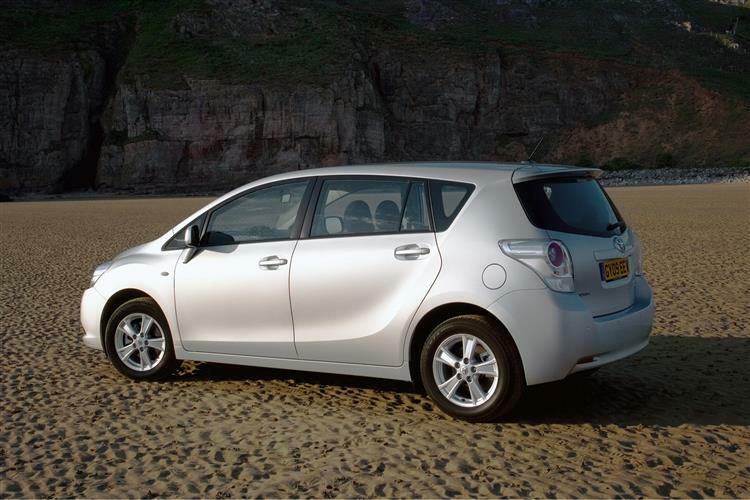 Toyota uprated the equipment and trims in the 2012 model year Verso models, adding Toyota Touch and Go infotainment systems to TR and T Spirit models. Revised upholstery designs were also introduced, with a blue fleck fabric for TR models and a grey check with grey leather seat bolsters for the T Spirit. TR and T Spirit versions were also offered in two new exterior metallic paint options: Deep Titanium and Aspen Grey. This car's styling signature is contained within the novel creases that run along the flanks of its bodywork, from the bottom of the front bumper through the lower parts of the doors and then up towards the rear tailgate is a distinctive swoop. The rear light clusters are particularly attractive, with their circles of LED brake lights with indicators in the centre. Inside, the design team have tried to use the same curvy styling theme, the centre console and the central instrument pod sitting on top of a wavy backdrop. What's most important however is that this 7-seater Toyota is bigger than its predecessor, though not so large that it can begin to compete with Ford Galaxy or Renault Espace-sized large MPVs from the next class up. Most prospective buyers looking for something nimble enough to twirl around a tight urban environment probably wouldn't want that anyway. Still, the extra 70mm in length and 20mm in width is very welcome, even if it still isn't quite enough for a couple of full-grown adults to be properly comfortable if they're sat in the third row: that requires some legroom compromises from middle-seat occupants. Where you do feel the benefit however, is in those times when you need bootspace and all three rows of seats are in use. In this configuration, the MK2 Verso offered you a paltry 63-litres of luggage room, a figure upped to a far more usable 155-litres in this MK3 version. This, along with 1645-litre total luggage capacity and 1830mm of total load area length with second and third row seats folded flat, does remain less than you'd get from obvious rivals but the space that is on offer is at least very easy to access thanks to the simple and effective Easy Flat-7 seating system. It's a pity that the centre seating row doesn't tumble forward or come out altogether, but at least each of the three chairs can be folded, slid backwards or forwards (to create or reduce legroom or luggage space of the area behind) or reclined for longer journeys. A nice design improvement on this MK3 model is the way that the outer seats in this middle row automatically return to their previous position after you've folded them to allow passengers into the rear. All the rear seats can be folded individually to create a level load floor, opening up no fewer than 32 seating permutations for the vehicle. The original Corolla Verso developed a cast-iron reputation for reliability, but the Mk2 model slipped off the pace a little bit as new quality procedures at the Turkish factory took a while to become the accepted culture. This third generation car is a lot better and has few generic faults. 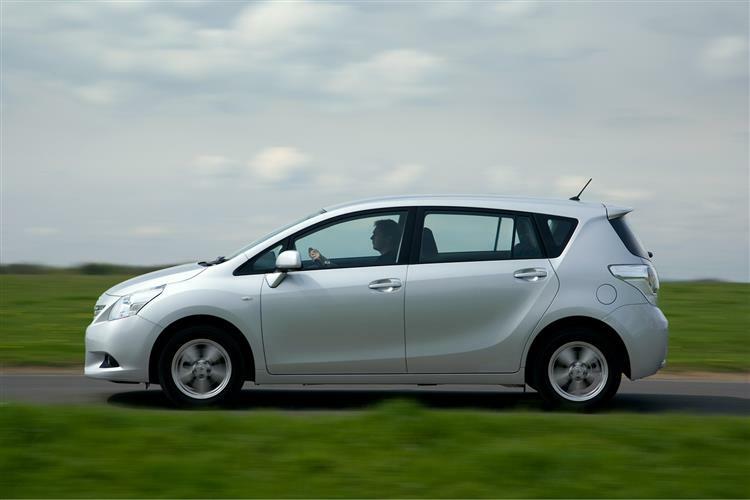 It scored 9th best in class in a 2010 JD Power customer satisfaction survey which is strangely low for Toyota. The engines are all very tough and the load area is also hardwearing. Make sure the electronics work as they should and that the satellite navigation system can lock onto a position after a tunnel. Also check that the vehicle has been serviced on the button. (approx based on a 1.6 Verso T2) Toyota spares are by no means as cheap as those offered by Ford or Vauxhall but a realignment of pricing has eased costs significantly. A clutch assembly will cost in the region of £130, whilst an exhaust is around £330. A new starter motor retails for around £150, although a replacement headlamp will be in the region of £200. Repair costs have been kept manageable with a consequent effect on insurance premiums. One of the issues with the second generation Verso was the car-like driving position that saw you sitting quite low, not something MPV buyers tend to like. This one doesn't perch you up 4x4-style, but you do get much more of the kind of commanding view out that you'd expect from this kind of car. Ironically though, the less sporty seating stance is now accompanied by more dynamic road manners. No, it's not a car you'd go out and drive for the fun of it but firm body control with plenty of grip mean it's easy to manoeuvre and more reassuring in corners than you'd expect from something relatively high-sided like this. The electric power steering system is particularly good, a clever variable assistance affair into which Toyota has developed a function that detects steering inputs that are too forceful and acts to smooth them out by reducing the amount of power assistance. Mainstream Verso ownership will see you choosing between 1.6 or 1.8-litre petrol engines and 2.0 or 2.2-litre D-4D diesels, all developing power outputs in the 125-150bhp bracket that's common to this class of car. The Valvematic petrol engines rev sweetly but are less relaxed than their diesel alternatives and, as you'd expect, deliver significantly less pulling power. Hence most buyers' choice of the 124bhp 2.0-litre D-4D unit. On paper, a rest to sixty figure of 11.3s makes it about a second slower to sixty than the 1.8-litre petrol alternative. In practice, the fact that it develops a significant 30Nm of torque more and does it at the bottom of the rev range rather than the top means that it feels a far more willing companion in day-to-day motoring. The diesel engine also perfectly complements this car's demeanour as an exceptionally refined long distance cruiser. 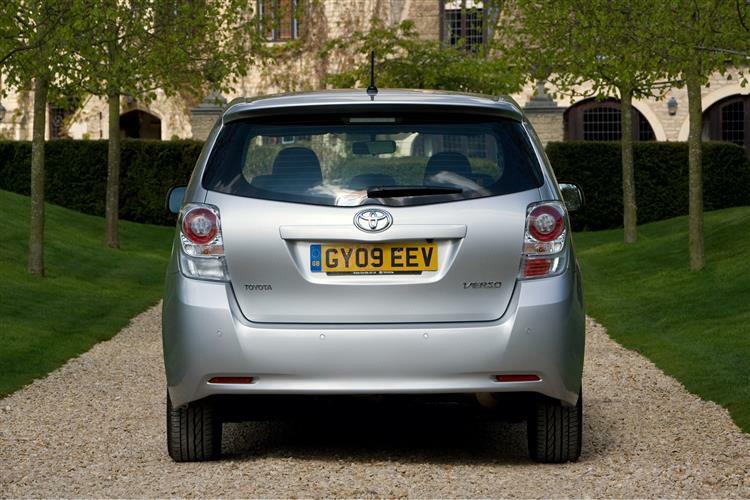 The Toyota Verso grew up in third generation form and in doing so jumped from a tough part of the market to a tougher one. The original Corolla Verso was a five seater, the second generation Verso a cramped seven seater but this bigger third generation car offers more space - and runs into some difficult rivals. 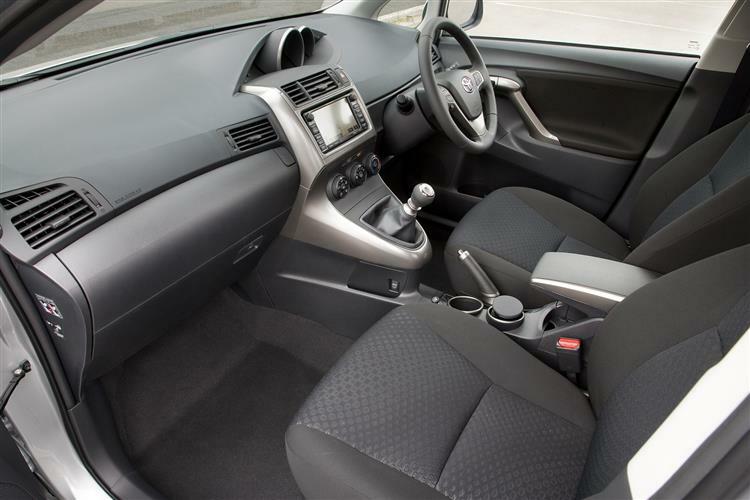 Though it may not still be one of our automatic picks in the compact MPV class, it remains a solid bet for those needing a well thought out car that will be reliable, discreet and practical. It's only if you want sassy design that it may come up a bit short. Still, used prices are distinctly reasonable, so perhaps you could find space for that sporty used roadster to prove that family life hasn't got you reaching for the travel blanket and slippers just yet.